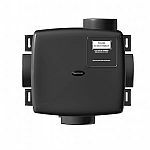 The proven Standard range wall models are designed to fit flush into most double brick walls using the rigid wall liner supplied with the unit. Provision is made within the liner for conduit entry. When installed, only the ivory fascia is visible on the internal wall face. The external weather louvre fits flush to the outside. A shutter is available as an accessory which can be easily fitted within the unit, see below. On new building work the installation and wiring of the wall liner can be completed prior to the final installation of the unit and controller. Fully shrouded connectors on the fascia automatically connect the wiring to the motor when fitted to the wall liner. Integrated component design allows all parts to be dismantled for cleaning without the use of specialist tools. The fascia, motor impeller assembly unplugs from the wall sleeve. The external weather louvre is removed into the room for cleaning. All plastic components can be washed. The motor is purpose-designed. Suitable for running at any angle. Quiet running, enclosed, sealed for life ball bearings. Suitable for operation in ambient temperatures from -40°C to +40°C. Fitted with Standard Thermal Overload Protection (S.T.O.P.). Type SD/R. 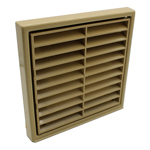 This extract/intake shutter fits inside the Vent-Axia unit and closes against unwanted backdraughts. 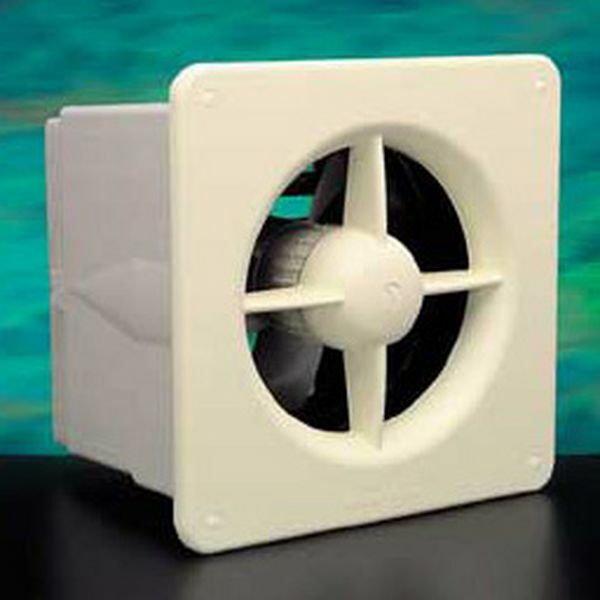 It can be fitted at the same time as the unit or at a later date if required. Airflow operated for extract use, cord operated lock for intake use.